Researchers from Leicester and Wales have shed new light on the origins of bluestones at Stonehenge- long believed to have come from ‘sacred hills’ in Wales. Geologists from the National Museum Wales, University of Leicester and Aberystwyth University, have uncovered new evidence of its origins - which brings into question how the rocks were brought to the Salisbury Plain. 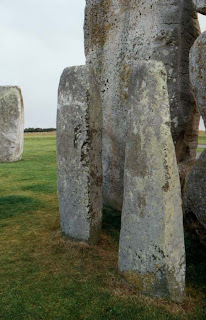 One type of bluestone at Stonehenge, the so-called ‘spotted dolerite’, was convincingly traced to the Mynydd Preseli area in north Pembrokeshire in the early 1920s. However, the sources of the other bluestones - chiefly rhyolites (a type of rock) and the rare sandstones remained, until recently, unknown. Now the team of geologists have further identified the sources of one of the rhyolite types, which also provides the opportunity for new thoughts on how the stones might have been transported to the Stonehenge area. Through standard petrographical techniques combined with sophisticated chemical analysis of samples from Stonehenge and north Pembrokeshire using laser ablation induction coupled mass spectrometry at Aberystwyth University, they have matched one particular rhyolite to an area north of the Mynydd Preseli range, in the vicinity of Pont Saeson. 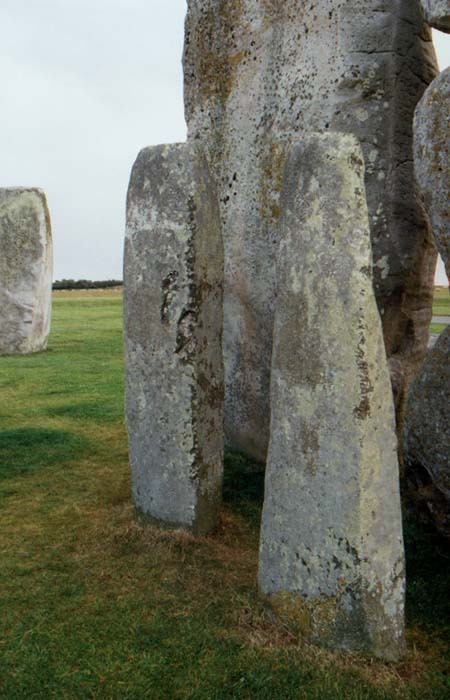 The Bluestones are a distinctive set of stones that form the inner circle and inner horseshoe of Stonehenge. Much of the archaeology in recent years has been based upon the assumption that Neolithic Age man had a reason for transporting bluestones all the way from west Wales to Stonehenge and the technical capacity to do it. “From the 8,000 samples of rock available, the exciting part was to match the Stonehenge rocks with rocks in the field in order to find their geographical source - this was initially done microscopically. However this is difficult as rocks from every outcrop have to be described and matched and that takes detailed long term knowledge- Dr Richard Bevins from National Museum Wales has 30 years experience of sampling and collecting just these rocks in southwest Wales and once the very unusual mineralogy of some of the debitage was recognised microscopically he was able to identify the source of a major group of volcanics to Pont Season north of the Preseli Hills. “The important and quite unexpected result based on microscopical work needed to be confirmed and this has been done recently based on very detailed mineralogical analysis with Dr Nick Pearce from the University of Aberystwyth. “The first result was the recognition that the huge sandstone Altar stone does not come from Milford Haven but from somewhere between West Wales and Herefordshire and has nothing to do with the Preseli Hills. This calls into question the proposed transport route for the Stonehenge bluestones. 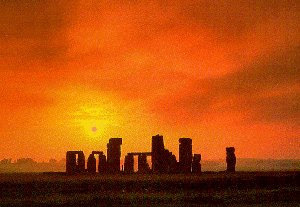 “The second unexpected result was that much of the volcanic and sandstone Stonehenge debris does not match any standing stones (so far only 2 stones out of thousands from the debris match)- it may be the debris is all that is left of lost standing stones- it is difficult to see what else it could be. 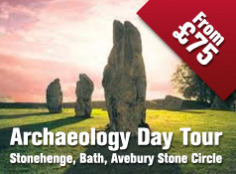 Dr Ixer said that work already undertaken and more in progress suggests that, unlike the belief of the last 80 years, namely that all of the Stonehenge bluestones were from taken from the top of ‘sacred’ Preseli hills and moved southwards to the Bristol Channel and then onto Stonehenge, most or all of the volcanic and sandstone standing stones and much of the debris at Stonehenge comes from rocks in the low-lying ground to the north and northwest of the Preseli Hills and, if, they were moved by man, then they travelled initially in the Irish sea before heading south and east. 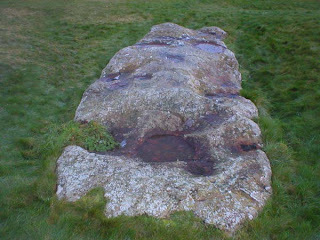 The Slaughter Stone - Lying within the entrance is an un-worked and now recumbent stone, stained a rusty red caused by rainwater acting on iron, and known as the Slaughter Stone. This stone is about 21-ft long, and although it was originally upright, it is now fallen and has now sunk so deep that only its upper end shows. Hawkins (3) makes note that while all the other stones were either bluestone or sarsen, the so called slaughter-stone is 'of fine-grained pale green sandstone, containing so many flakes of mica that its surface, wherever freshly exposed, shows the typical mica glitter'. This stone seems to have come from the Cosheston Beds, composed of old red sandstone, at Milford haven on the coast of Wales, some 30miles to the southwest of the Prescilly quarries and is another example of the specific selection of stones by the builders of the European megaliths. Stonehenge has three different types of stone in the overall structure: Over 80 5-10 ton 'Bluestones'' from Wales, The huge 20-50 ton Sarsens from 20km north near Avebury and the mica-sandstone 'Slaughter stone'. 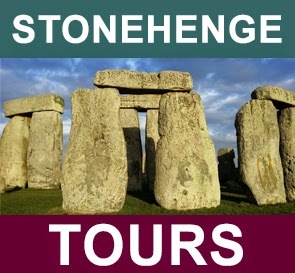 Visit Stonehenge and find out if the slaughter stone really was used for human sacrafice or just Victorian romanticism.